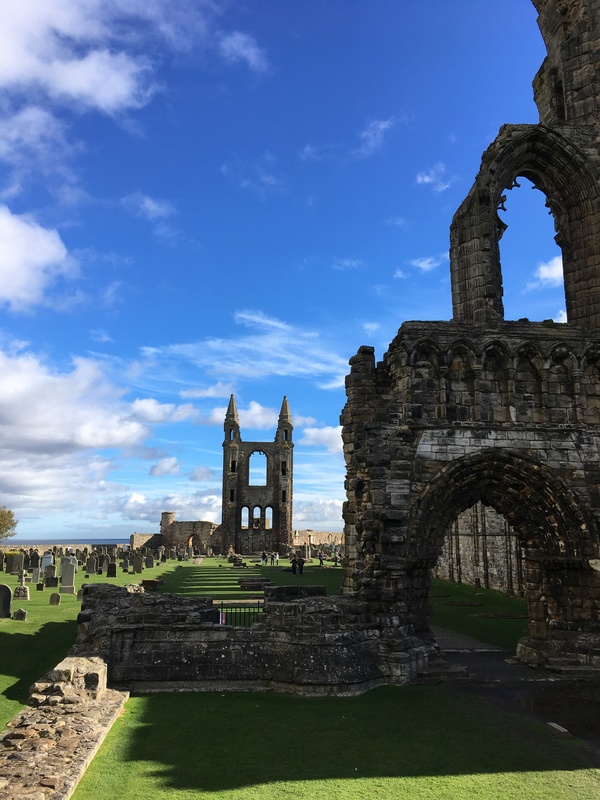 After returning from my 2-day trip to the Highlands, I scheduled a couple of day trips out of Edinburgh, also through Rabbie’s Tours. 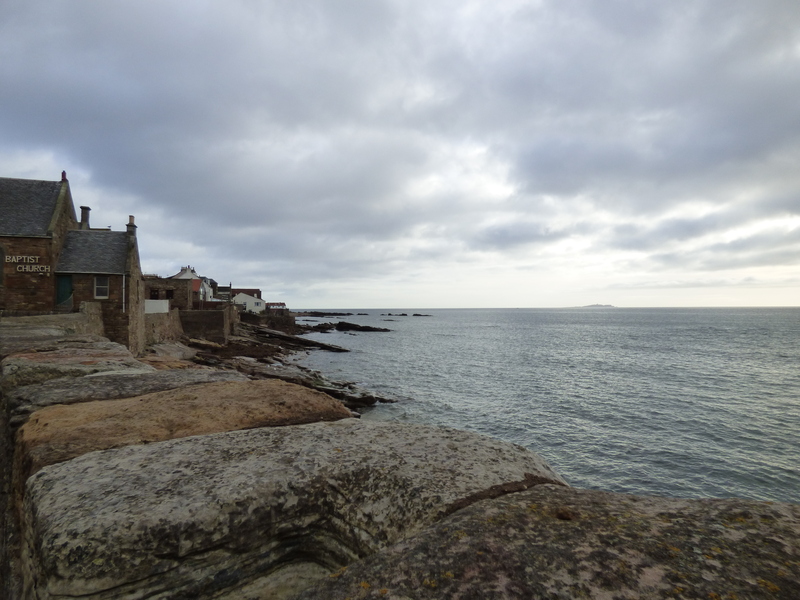 The first of these day trips was to St. Andrews and the fishing villages of Fife. The Kingdom of Fife is unique in that when Scotland’s various tribes first created a united Scotland, the Kingdom of Fife remained a kingdom. The clan that ruled Fife was powerful and was the last of the clans to agree to unite. 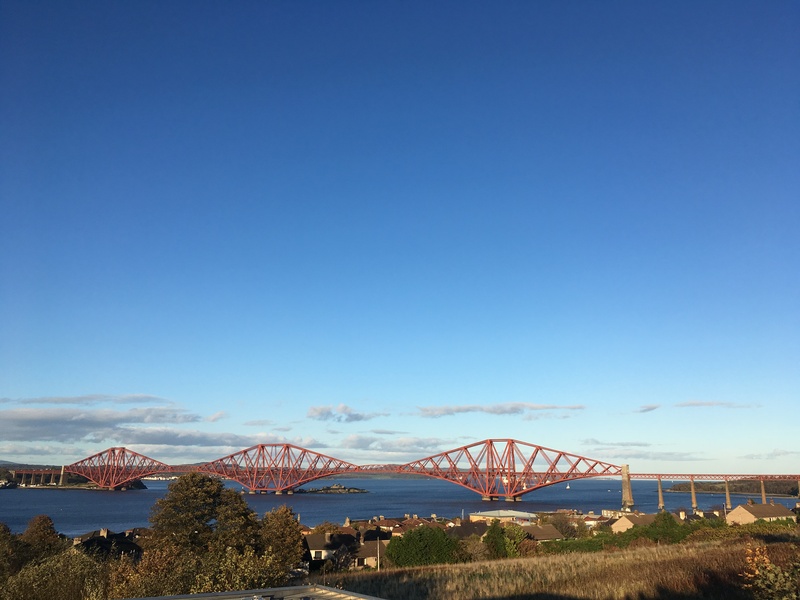 The other kings and clans proposed that if Fife would join them in creating a united Scotland, then Fife could continue to be a kingdom, and the leader of the clan agreed. 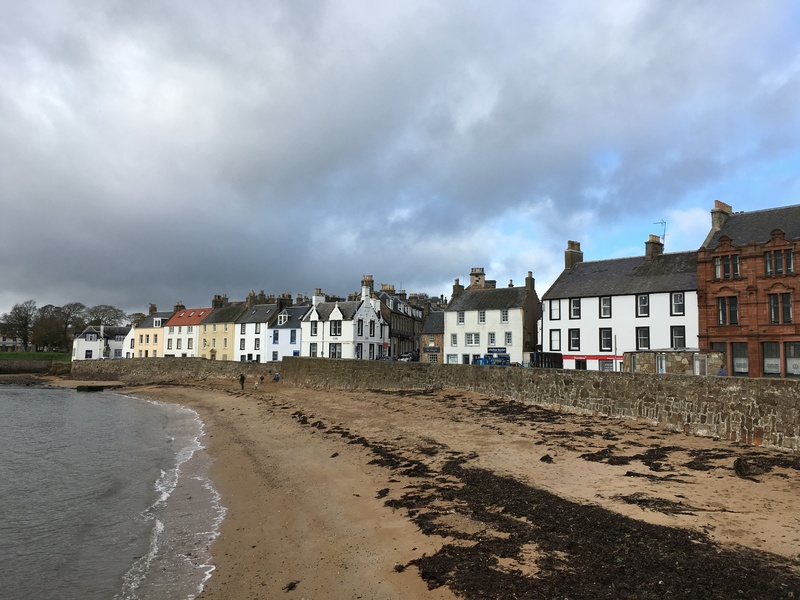 It’s a beautiful region of Scotland that is easily accessed from Edinburgh and is largely agricultural, along with quite a bit of coastline and fishing villages. 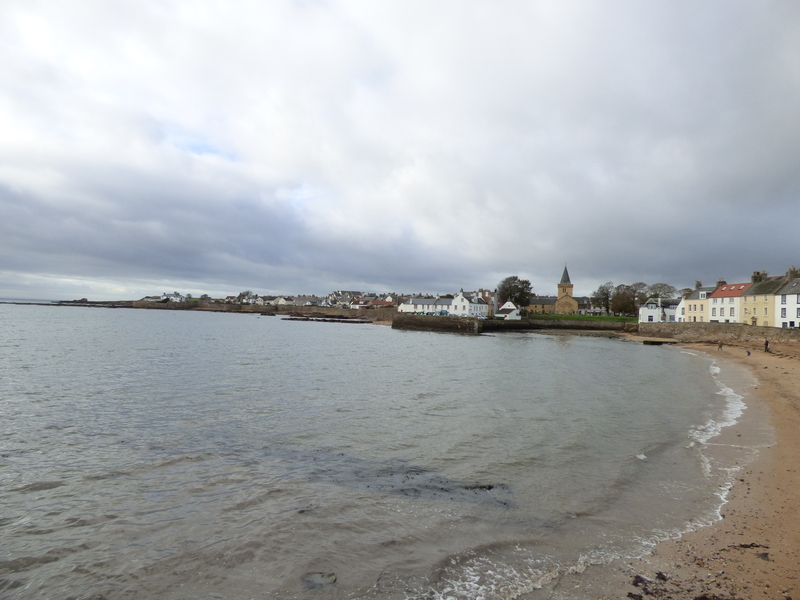 Our first stop of the day was at the fishing village of Anstruther. 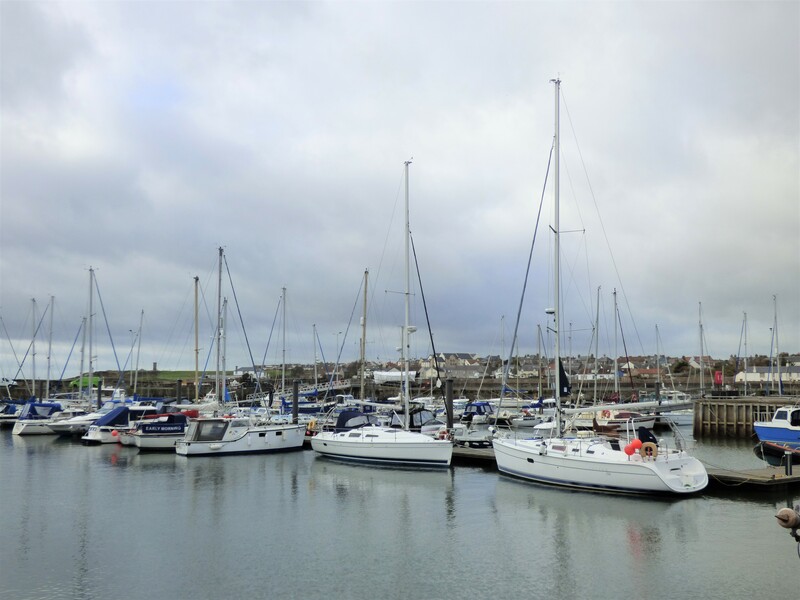 Anstruther is a picturesque fishing village. It’s quite small, but there are several small shops and cafes along the harbor, which is filled with small fishing boats. We had a little under an hour to walk around. It was a chilly but sunny morning and the views were spectacular over the ocean. 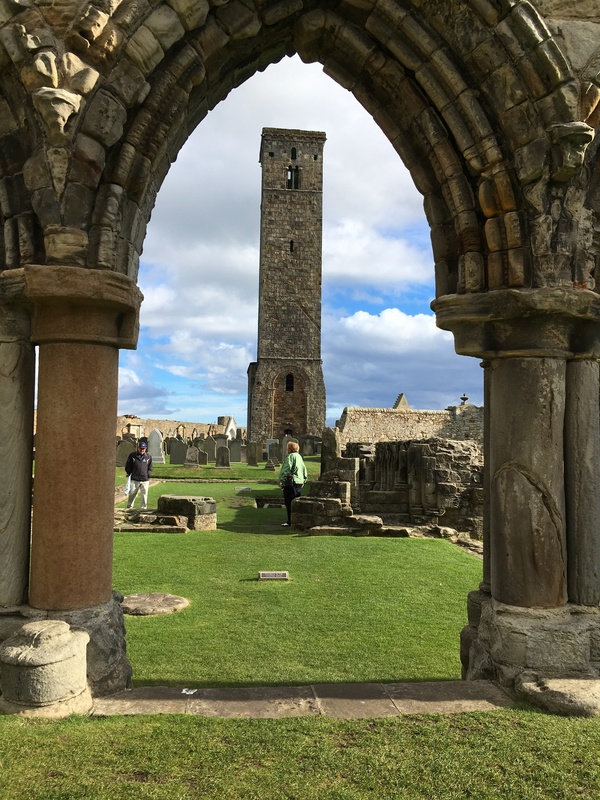 From Anstruther, we headed to St. Andrews. There are several things to do and see in this larger town. 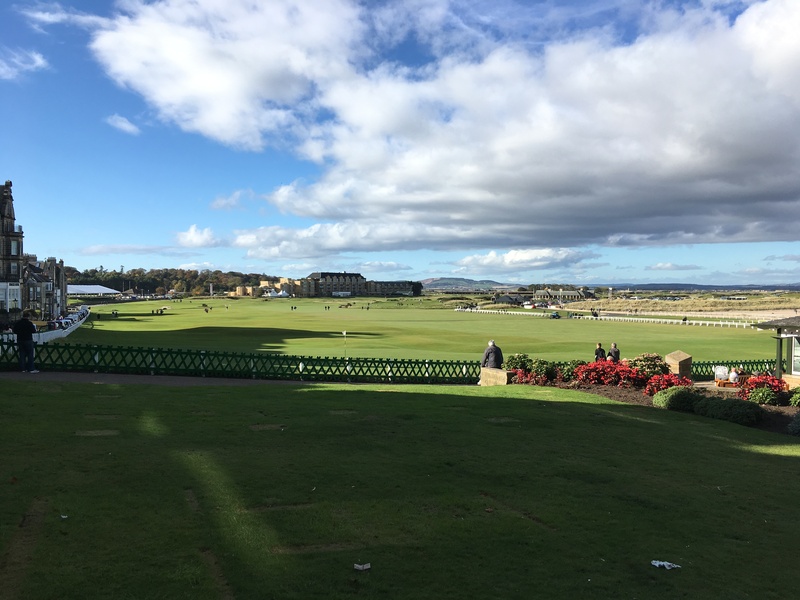 It is probably best known for St. Andrews University (you may recognize the name- it’s where Prince William and Kate Middleton attended) and the Old Course at St. Andrews (considered the oldest golf course in the world). There are also a couple of streets filled with cafes, restaurants, and stores, as well as castle and cathedral ruins. Our tour guide told us about some of the things we could do, then we were free to explore on our own. 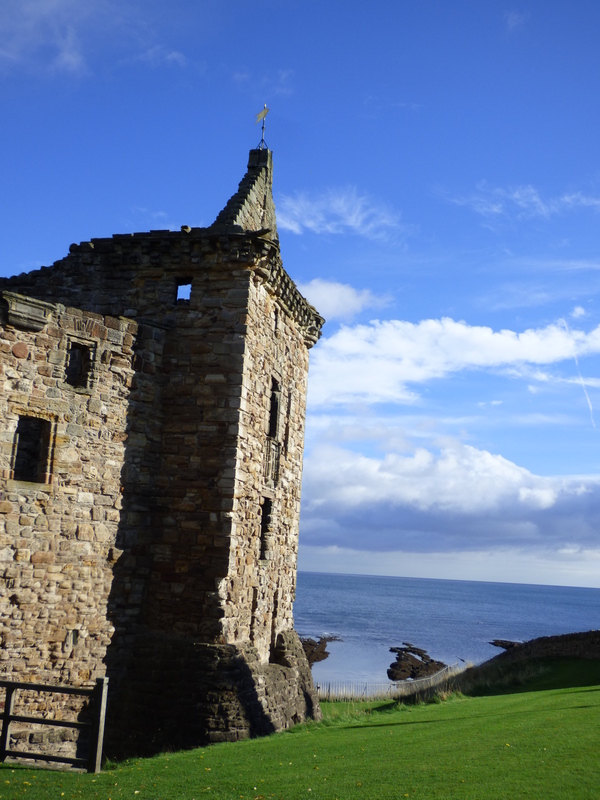 We had parked near the Old Course, so I walked along the coastal road to St. Andrews Castle. 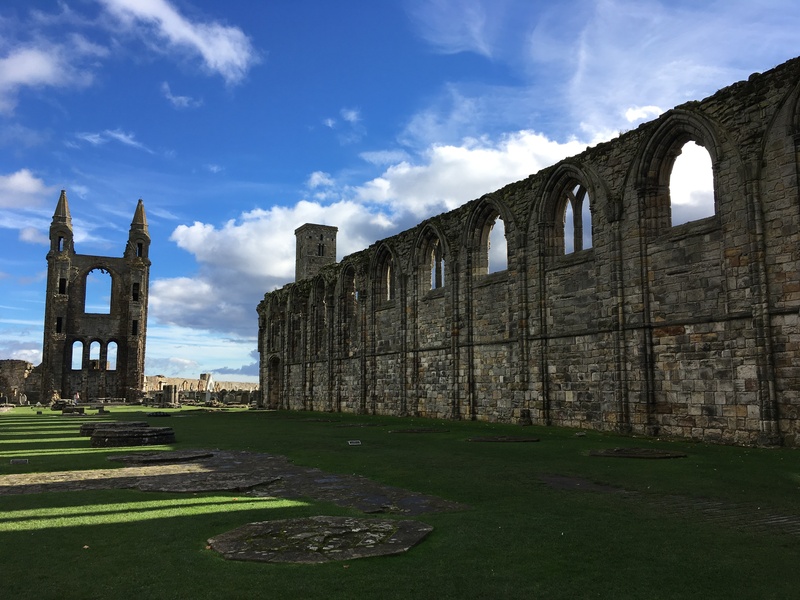 I had purchased an Explorer Pass for the week for admission to several different attractions, and St. Andrews was one of the included castles. To be honest, it was pretty underwhelming. There’s a small exhibit inside the visitor center that gives a bit of information about the castle, but the castle itself only has a couple of walls still in place and there is little information as you walk around. That said, there is one thing to see that might make it worth the price. In the 1500s, the castle was under seige and the attackers attempted to build an undermine, or tunnel, under the castle walls in order to get into the castle and take it over. Those inside the castle could tell that the attackers were building an undermine, but could only see where it started and didn’t know where it was leading to. 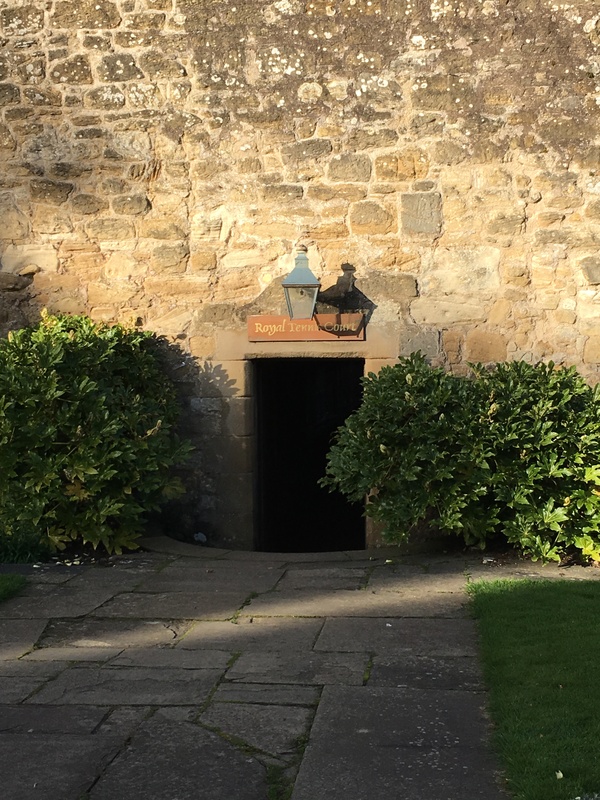 However, they were determined to construct a countermine, a tunnel leading from inside the castle grounds to intercept the undermine and prevent the attackers from entering. After several false attempts, they managed to hit the undermine and prevent the attackers from entering. The cool thing is that these tunnels are still there! 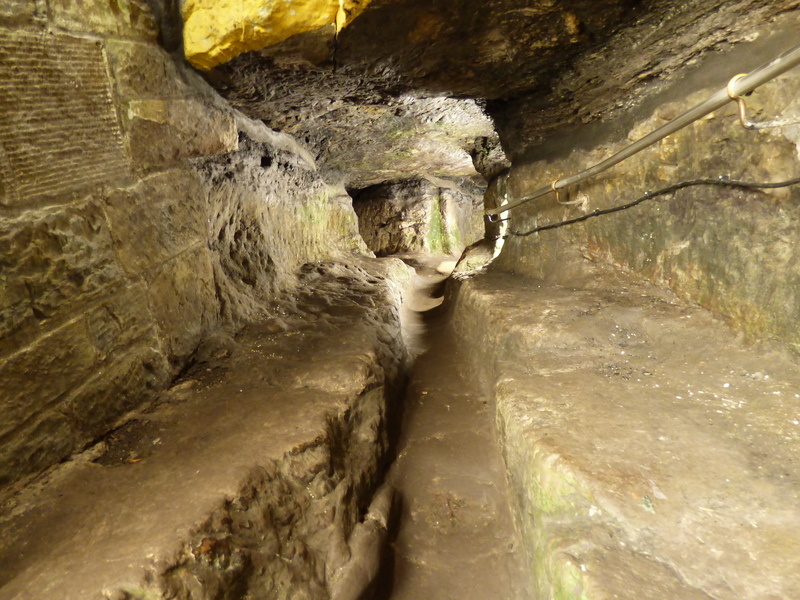 They are very narrow and the countermine has very low ceilings since they were building under more extreme pressure and time restraints, but you can climb through both parts! It was pretty cool, but not recommended for young children or if you get claustrophobic. 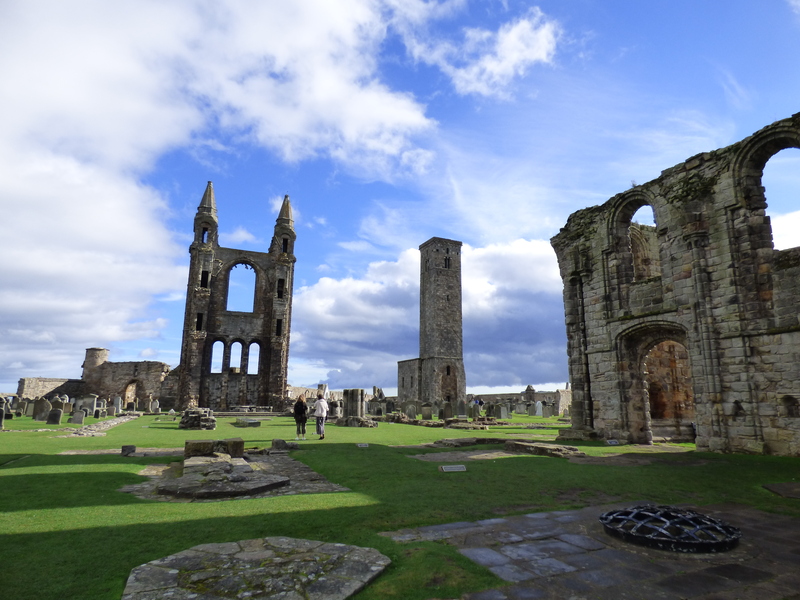 After exploring the castle, I walked a few minutes over to St. Andrews Cathedral. Though technically a ruin, several walls and incredible arches are still in place, and it’s truly beautiful. Admission to walk around the ruins is free, but you can pay a small fee to enter the museum and walk up to the top of a tower (I didn’t have time to do this, so just walked around the ruins). 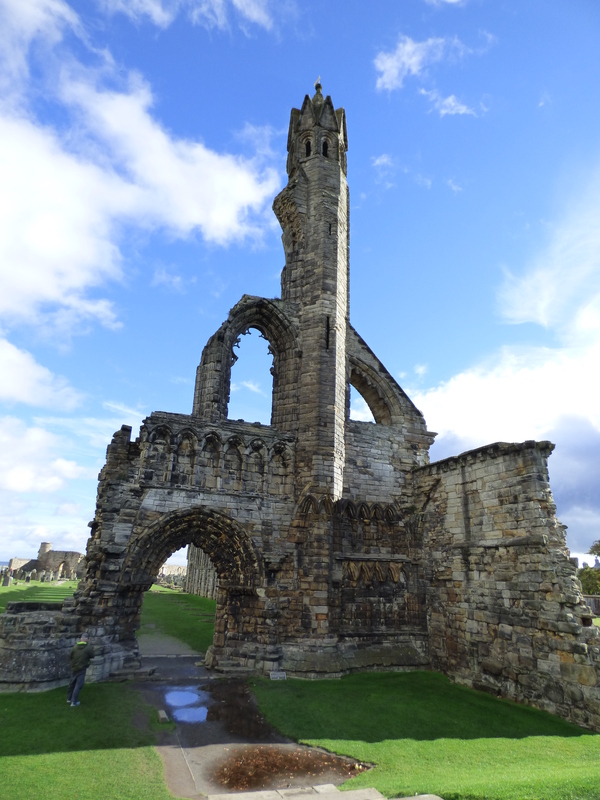 It was built in the 1100s and is the largest church that was ever built in Scotland. 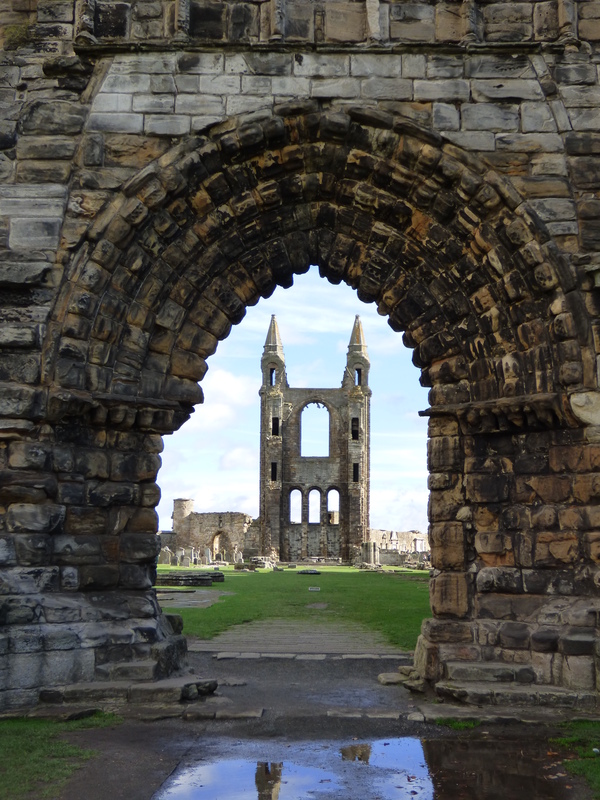 It fell into ruin during the 1500s after Catholicism was outlawed following the Scottish Reformation. From the cathedral, I walked along some of the main streets and grabbed lunch. 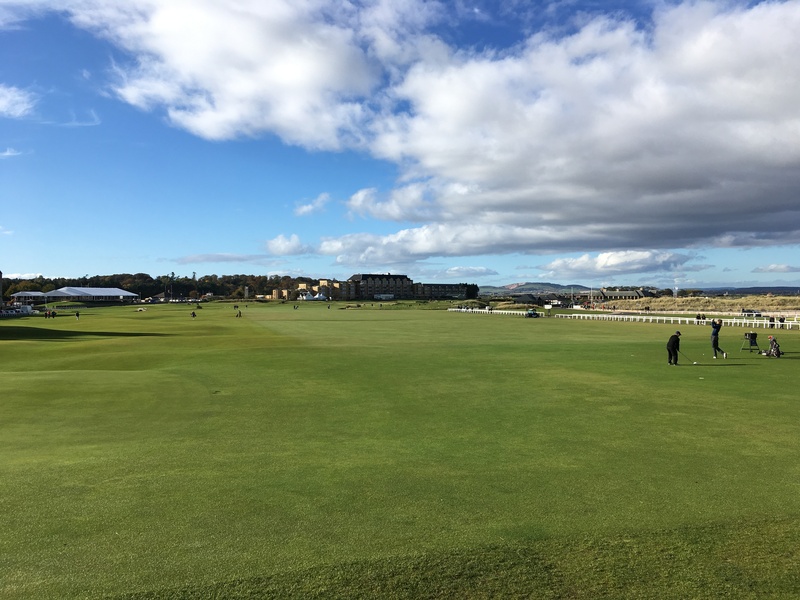 I walked very briefly around the Old Course before meeting back up with the tour group to head to our next destination, Falkland. Falkland is a pretty, small village located in Fife. 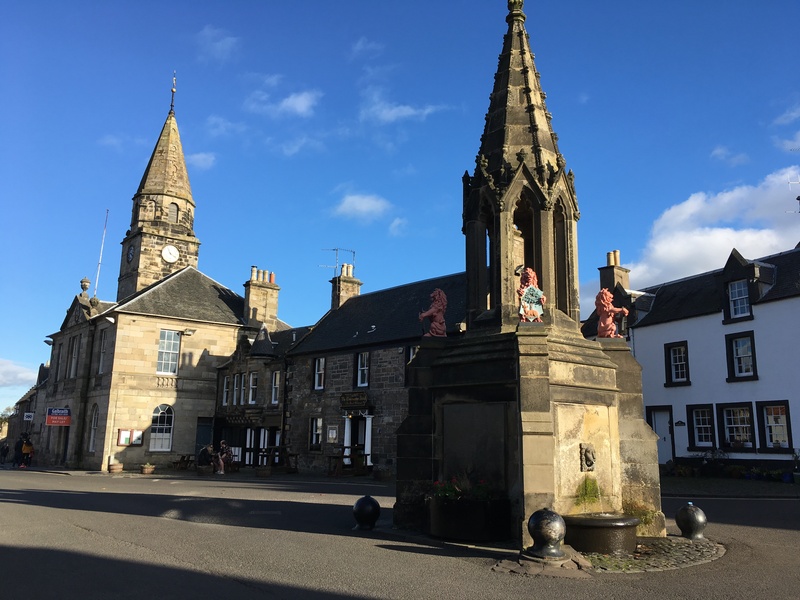 It has become a popular place to visit as it was used in the filming of Outlander as a stand-in for Inverness. Many of the buildings and houses are several centuries old, and there is also a small palace to visit. 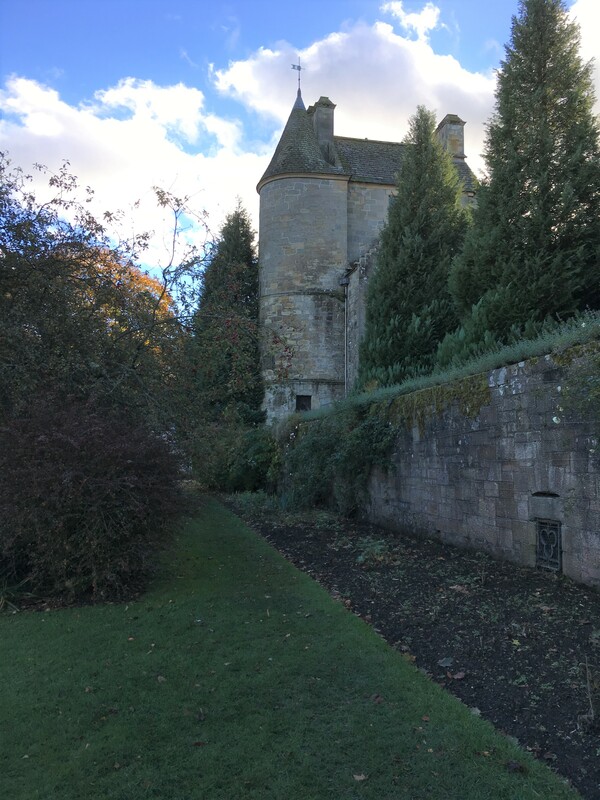 Falkland Palace is a Renaissance palace built in the 1500s. 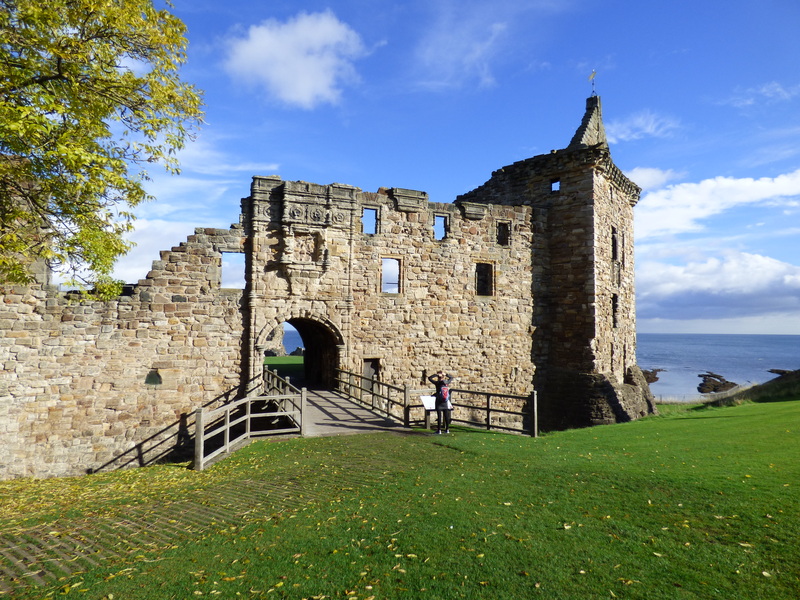 It was built by King James IV and his son, King James V and was one of Mary Queen of Scots favorite homes. You can tour the house, which also functions as an actual weekend residence for a family that serves as its keepers, as well as the gardens. 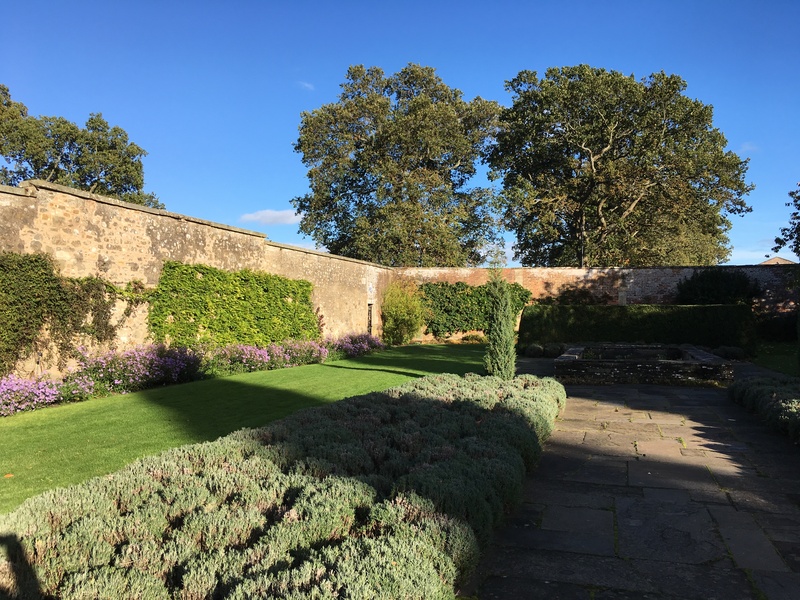 The gardens contain the oldest original real tennis court in Britain. While the palace fell into disuse in the 1600s, it was restored in the late 1800s and is really quite beautiful. After touring the castle, I walked around the small village briefly. When we had arrived in the village, our tour guide noted that many of the houses have writing above the main entrance, with the initials of married couples together with the year they were married. Many of these date to the 1500s and 1600s. It’s amazing to see these houses still in use several centuries later! From Falkland we headed back towards Edinburgh, stopping for yet another view of the Forth Bridges before entering the city. It was a beautiful day with fantastic weather! 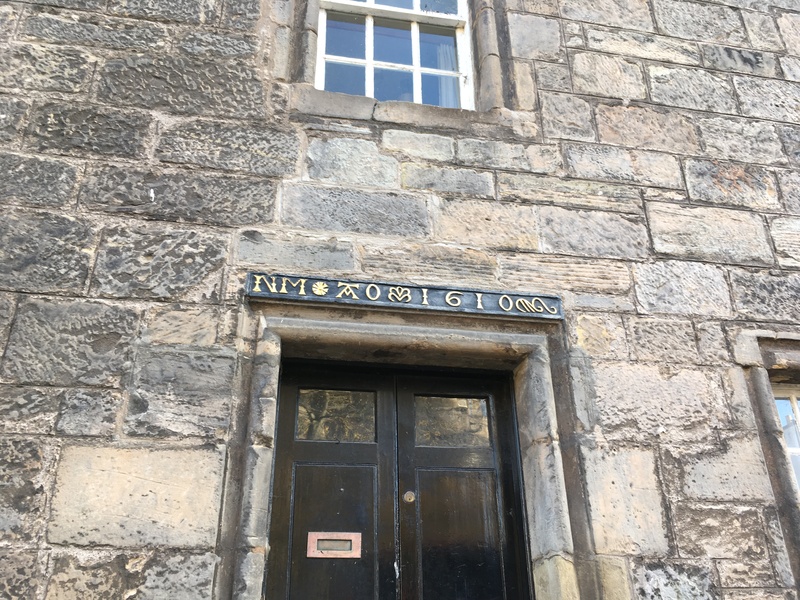 This is not a sponsored post, but I really enjoyed my Rabbie’s Tour. 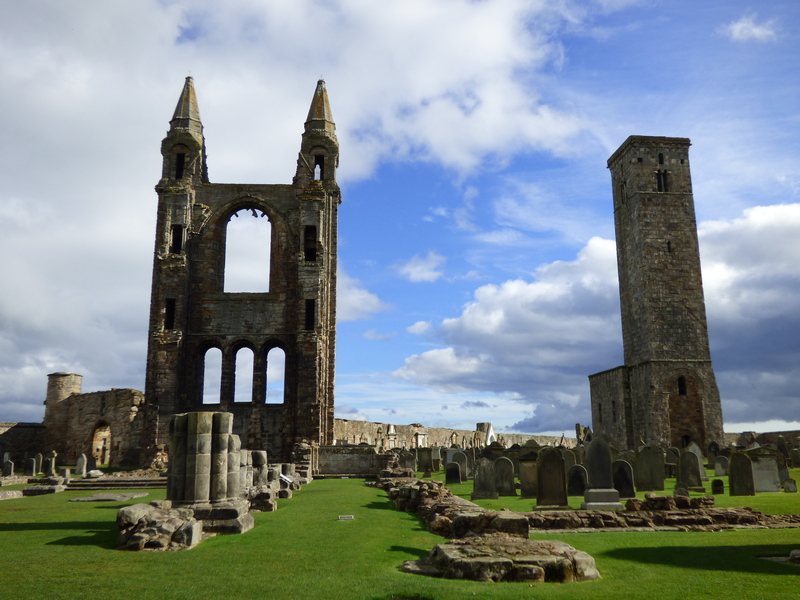 Check out their website here, and the St. Andrews & the Fishing Villages of Fife Tour here.